Once these ideas strike, I’m left with the agonizing decision of whether to be a good girl and go to bed (where I may stare at the ceiling, wondering when sleep will arrive) or give in to that sparking creativity in hopes that I just finish the darn thing quickly so I can go to bed before the sunrise (or, I suppose, a third choice – go do my editing). Plus, there’s always the niggling worry that I’m going to forget whatever “brilliant” thing I came up with in the first place once I wait on creating it. Because this forgetfulness does indeed happen, I’ve started sketching out what I imagine – sometimes. But more on that in another post. Now, this may not look like much to you, but to me it looks like possibilities. That solid black piece in the middle is actually a Bigz die of the Eiffel Tower. Lyssa’s card tutorial can be found here, and I can’t wait to try it. I have pieces and parts of a French-themed card heaped in a (large) pile on my desk that has been waiting for me to get to it to include it in a custom card order. As soon as I saw the layout of Lyssa’s card, I knew my Eiffel Tower would fit perfectly on the front piece. Or at least I think it will. I haven’t actually tried it yet. But I do have more than one Eiffel Tower if the size proves to be confounding. You may be wondering what I decided to do that night – to stay up or go to bed. Well, I didn’t make the card yet. I ended up cleaning the desk a little, looking at some of the French items and trying to plan a card in my head before I really had to sleep. Turns out I have about five French cards in my head. And as the picture attests, I have enough paper to make at least that many. 😛 (Good thing I have an Etsy shop! 😉 ) I feel pretty confident that I know where I’m going with this one even without sketching. I just have to wait a few more days to get to it, as I’ve been called elsewhere temporarily. The good news is that I’m linked to WordPress on my phone now, so blogging should begin happening faster. I have to do some driving tomorrow, but I hope to post about Texas soon. More to come! These quotes are some of the kinds of thoughts tumbling in my head recently. I have a good life here in quaint old Amish Country, with family and friends who love me; I work from home (“no, in pajamas,” my conscience tells me); and I have two cats who follow me around the house just to be near me. I’m not wealthy, but I’m not poor. I have plenty. But I also have dreams…dreams I want to turn into plans…plans I want to turn into my own success story, even if the only way success is seen is by looking over my shoulder to where I’ve been. One of my dreams is to make this passion, this excitement I feel about the crafting I do for fun, into a THING, a thing that works, a thing that goes somewhere. A thing that makes other people smile or brightens a bad day. That makes ME smile when I’m having a bad day. That maybe even makes some money at some point. Really, a thing that says I’m not crazy to consider a new kind of “job” because I’m theoretically good at this too. (I’m a book editor. My love of details is the only thing in common here.) I was once told I’m not very creative—too “boxy,” apparently. I beg to differ. I will shout my differing from the rooftop. Well, what kind of dreams could I—a mostly introverted book nerd who now prefers to stay at home (until I’m traveling the world) and occasionally contemplates the real possibility of having social anxiety (regardless of how many hours my Facebook is active)—dream about the crafting world? You make a birthday card and send it and the recipient loves it, or you do a scrapbook or two for the kids and grandkids to look at years later, right? Or you join the rest of America in having bigger appetites than budgets and create the coolest craft room in town with fun grownup toys like die-cutting machines. My online crafty friends would love that…. Isn’t that it? Hmm. No. Well, yes, to a degree, but…no. Even if it does sound rather peacockish (and it really isn’t that), I’m going to take the scary step of admitting my dreams out loud: I want to create something amazing. I want to be recognized for my creativity or my designing or simply that I made something beautiful and inspired someone else to do the same, helping them find their creativity. I want to be published in a crafting magazine or somewhere besides my own photos on Facebook. I want to join a design team, given product and trusted that I will do something cool with it. 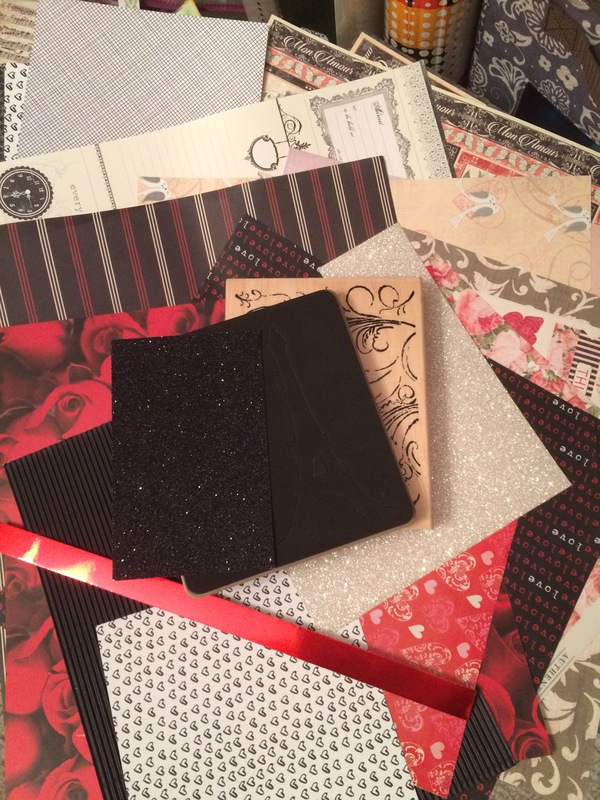 I want to have as many followers on my “My Craftiness” Pinterest board of personal projects as I do on my “Great [insert long name here involving crafts]” board of things other people have made. (The thought of joining a design team for a company both terrifies and thrills me, for the record. One dream at a time, however.) And I’ve dreamed about making my playtime-slash-therapy in my craft room a business instead—getting paid to play, as it were, instead of how it is now: working to play. 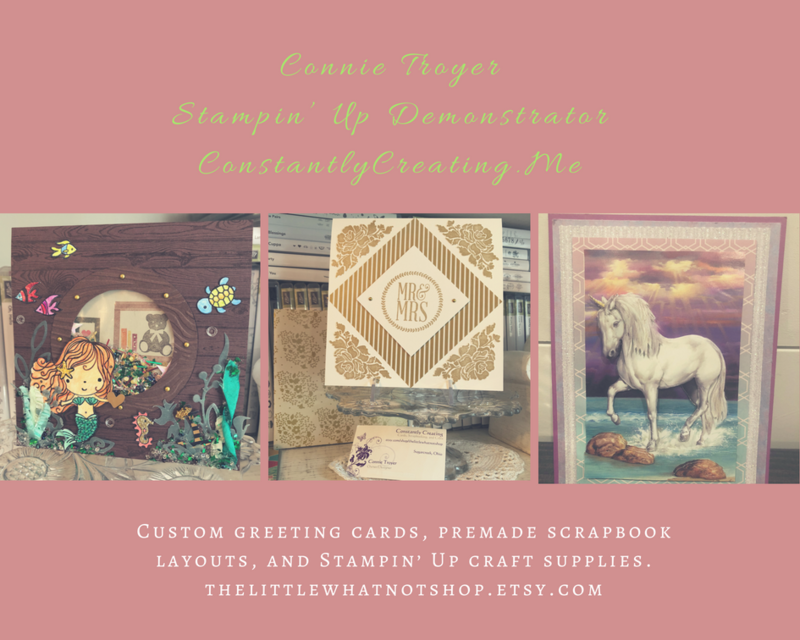 I’ve been debating about becoming a Stampin’ Up demonstrator for months (my poor, long-suffering, would-be upline Amy… See her awesome blog here, by the way, and be inspired already!). But it always seems like life is too busy to really go for it. I have too many other things I want to do or have to do or feel compelled to do. *sigh* Truthfully, I’m tired of this hamster wheel. So here’s the thing. Tonight I’m feeling like that old dog who needs to learn a new trick, a dog that has been in the cycle of insanity for far, far too long. I’m not looking for perfection (sorry, Winston), but I do admit to the tendency of dreading that word “change.” And I despise the active process of it even more. But if I want my dreams to go somewhere, I have to do or be something I’m not currently doing or being; Winston kindly says I have to improve. Sadly, there are ever so many ways I could improve…. The point is, if I want my life to be different, I have to start making it that way. The alternative is not something I want to live with any longer. I’m not getting any younger. I want to enjoy my job again. I’m tired of waiting for life to continue going along as I’d hoped it would (because it’s been a “relatively” awful decade, to be honest—despite the pun), so the time to change is now. Feel free to call this my midlife crisis. (Can I have a Harley too?) Wait… Squirrel! Sorry…regrouping… “Until the pain of staying the same is greater than the pain of change, there will be no change.” Dwight Mason, lead pastor of NewPointe Community Church—my pastor—said that a few months back. He’s absolutely right, and I haven’t forgotten it. Here’s my thinking (see, I’m a planner): to have any kind of following or sales or be part of any publication, I’ll need a blog. My Pinterest pins already have no “home,” even if they are being repinned. (This is not necessarily a good thing.) If I go the sales route, I’ll need to learn a whole new business AND blogging, along with several other kinds of social media, all at once. Along with keeping up with the Etsy shop I started a couple of years ago when I thought I’d see just how cold my toes would get once I dipped them into the water. And all those to-dos I’m deliberately not thinking about…oy. It already feels overwhelming. So Jack and Alan might approve, for as little or as much as we may agree on whatever else: I’m changing before I have to. I’m, shall we say, plunging into change and joining the dance of social media. (Hopefully it won’t be too chilly!) I’m late to the game, but maybe it will all make sense eventually. I’m trying something new. A card. A blog. A shop. Me. George Eliot said, “It is never too late to be who you might have been.” It’s time. Let’s do this.